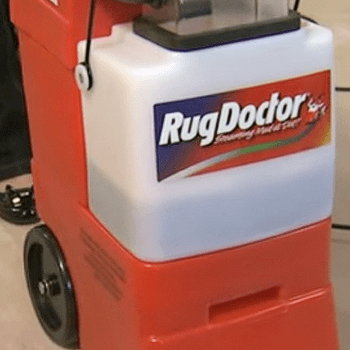 Do you want the best cleaning performance from your Rug Doctor Carpet Cleaner? Our complete user guide explains everything you need to know, from pre-treatment right through to the drying process. 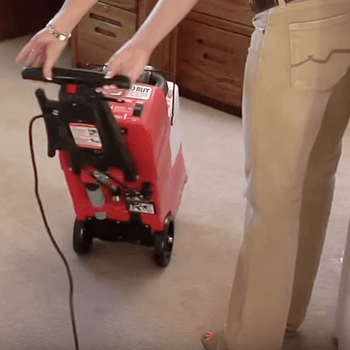 For optimal cleaning results, you’ll need to do a few things before you can start using your Rug Doctor cleaning machine. To make sure you clean every inch of your carpet, you’ll need to remove any potential obstacles. Furniture such as coffee tables, chairs and bookcases can block the path of your machine. These areas are important to remember as they often cause a build-up of dirt and grime. 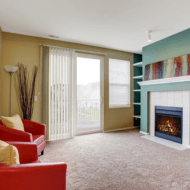 If removing furniture proves difficult, place it in the middle of the room so you can clean around the outside. For a more effective Rug Doctor clean, use a vacuum cleaner to remove the surface dust and dirt from your carpets. 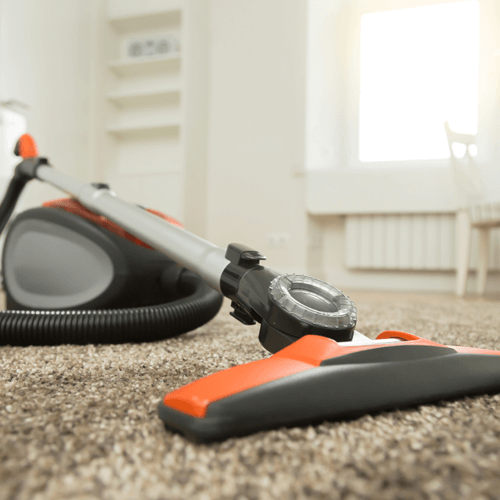 Removing this surface dust will allow your Rug Doctor to attack the dirt and grime lurking deep within your carpet’s pile. 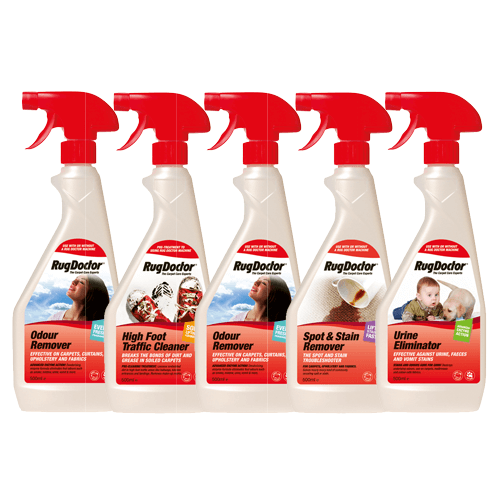 We suggest using our range of cleaning products to pre-treat any problem areas on your carpet. 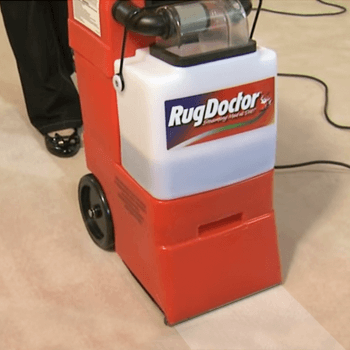 Treat the busier areas of your home, such as doorways, with Rug Doctor’s High Traffic Cleaner. 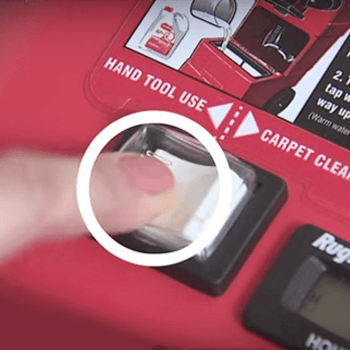 If you’re unsure of how to tackle stubborn stains on your carpets, check out our emergency stain video guides to get the best cleaning results. 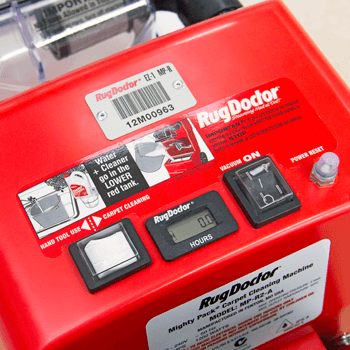 Once you’ve successfully prepared your rooms for cleaning, you can start setting up your Rug Doctor machine. For woolen carpets, use only lukewarm water to avoid any damage to the carpet’s fibres. 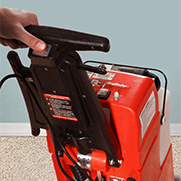 Rug Doctor Carpet Machines are designed for one pass only. 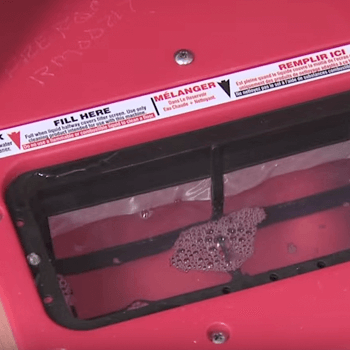 If over-wetting occurs, release the red spray button for vacuum only passes. 150ml of detergent is roughly half a coffee cup. 225ml is about a mug and a half. Make sure you don’t fill up the white tank with detergent! 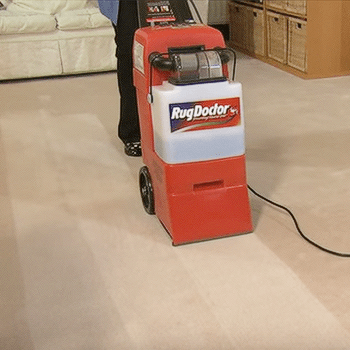 Remember – you’ll only be walking backwards when using your Rug Doctor machine. Firstly, you’ll need to remove the white recovery tank located on the front of the machine. To remove the tank simply unclip the black wire retaining handle. 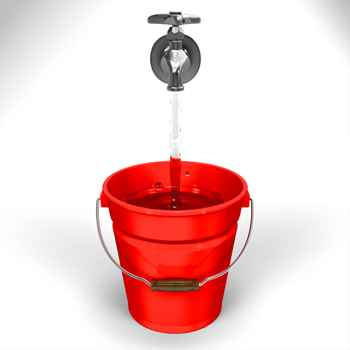 Fill a bucket with nine litres of hot tap water. Do not use water hot enough to burn or scald the skin. 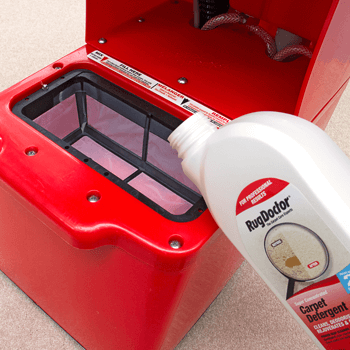 Pour 150ml of Rug Doctor Carpet Detergent directly into the red bottom base tank of your machine. For Wide Track machines, use 225ml of detergent. Top up the red base tank with the hot water. 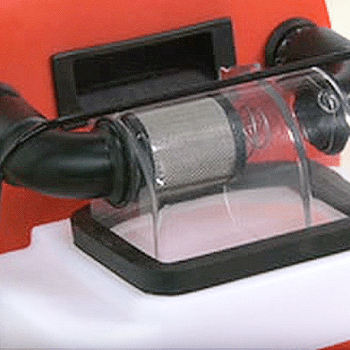 Fill the base tank until it reaches roughly halfway up the mesh filter. 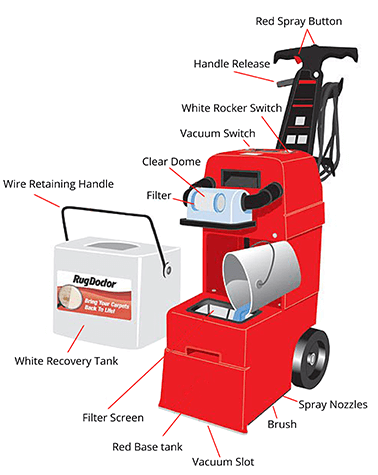 Replace the white recovery tank. Make sure you secure the tank using the black retaining wire fitting. Push the white switch, located on the top of the machine, over to carpet cleaning. You’ve fully prepared the cleaning solution, now you’re ready to clean! 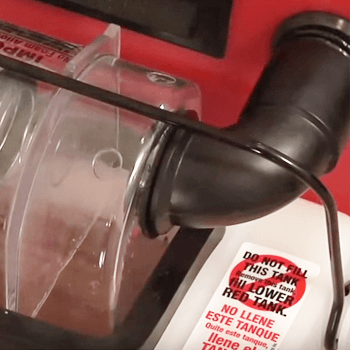 Adjust your machine’s handle to a comfortable height using the handle release lever. 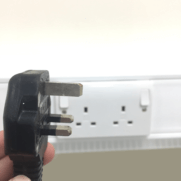 Make sure you plug your machine into a plug socket. Press the vacuum switch to the on position. Tilt the machine back slightly, so that the brush is not touching the carpet. 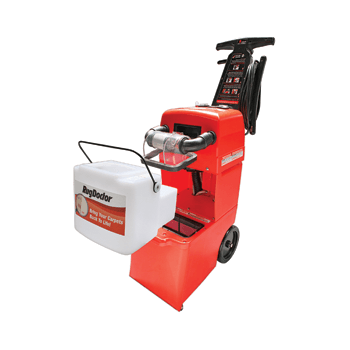 Test the machine’s spray applicator by pressing the red spray button located on the machine’s handle. 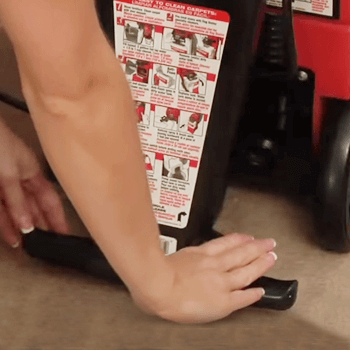 Once you see the cleaning solution, lower the machine back towards the carpet and begin walking backwards slowly. Continue walking backwards, remembering to press the red spray button all the time. Before reaching the end of the carpet, release the red spray button. This avoids over-wetting the last section of the carpet, as you prepare to turn around for the next pass. Position your machine so that it slightly overlaps with the previous run, and continue cleaning. The near translucent white recovery tank makes it easy to see when it’s full of dirty water. To empty the white recovery tank, simply pull back the retaining black wire to remove the container. When you’ve finished cleaning, ensure the room is well ventilated for a quicker drying time.